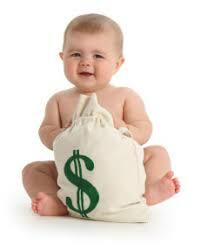 Dr.Malpani's Blog: Why does the cost of test tube baby treatment in India vary so much ? Patients are often confused as to why the cost of a test tube treatment is so different from one Indian IVF clinic as compared to another. They understand that it’s going to be more expensive in large cities like Mumbai, but there is still so much variation from clinic to clinic, that patients aren’t sure what the right cost should be . The problem is that there isn't always a direct correlation between cost and success rates. This problem is compounded by the fact that there is a complete lack of transparency , and clinics aren't open about what their success rates are. It’s quite easy for the large corporate chains to lure them by offering a low cost, but they keeping on padding it by adding additional costs as the cycle goes by, which means patients eventually end up paying much more - and end up still not getting pregnant !